OneAccess is a leading provider of physical and virtual network functions enabling cloud and other managed services to small and medium businesses and corporate customers around the world. For over a decade, OneAccess has been delivering enterprise network functions designed specifically for service providers’ needs: performance in compact multi-service access routers. 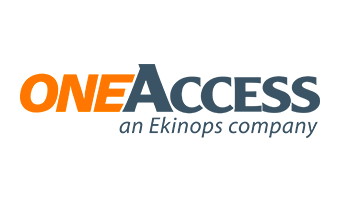 34 of the top 100 service providers in the world have chosen OneAccess to enhance their competitive edge. The Company went public in 2017 as part of the Ekinops Group.